So I posted a brief bit on Facebook about what the podiatrist had to say, but I have been crazy-busy so I wasn’t able to get back here until today. First, I expected one of two (From what I have read online) standard Podiatrist viewpoints toward the Vibram Five Fingers. 1) These things are horrible. No one should ever wear them (or walk barefoot) as our feet should be in shoes that make them work properly. They are just begging for injury because they don’t let your foot work like it should. 2) They are ok, and there is nothing wrong with wearing them, but you don’t want to over do it. 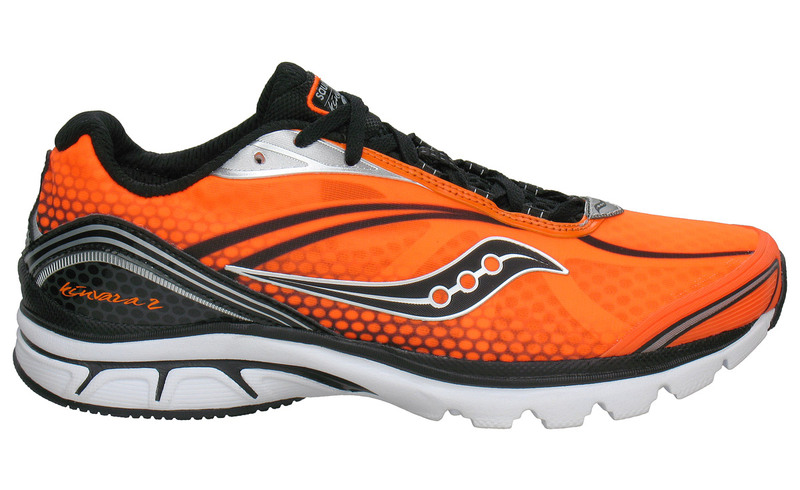 Longer runs should be done with proper padding and motion control in the shoes. Its important to remember we live longer than people used to – so our bodies take more abuse. Plus we are running on much harder materials than the dirt and grass our ancestors did – so it is further wear and tear on the body. I had checked around with everyone I knew looking for a podiatrist that came recommended from Athletes and runners. My old Tang-So Do instructor (old in the sense of when I used to go, she is still quite young) recommended one that was a black belt at the school, and also was somewhat of an athlete himself. Seemed Perfect! Perhaps he would be a #2 – or a super rare – liked the idea of strengthening feet! He gave me some great exercises/stretches to add-on to my list of what I am doing for the Plantar Faciitis as well. The one in the picture to the right I am to do before getting out of bed, or sitting for any extended period of time. He then gave me a shot of Cortisone into it, and I got to walk pain-free for the first time in three weeks. It was WONDERFUL!!!! (Unfortunately it was short-lived – 20 minutes after I left it started hurting and spread through my entire arch. That lasted about 24 hours and now it is hurting less.) He had the nurse make an “arch support wrap” for me to wear for a week or two. I asked him about the foot-log, and he thought it was fantastic to use. The office also gave me a list of stability shoes such as the Asics 2170 and the Brooks Adreneline that he said I should be running in. After the Podiatrist’s office, I headed over to a local sports shop to try on a pair of these “Stability control shoes”. And I found out the all seem to cost AT LEAST 100-120 bucks, if not more. Well, I suppose you are getting “more shoe” for your money… I tried some on and found that the constricted toes are horrible. (So are the color selections. Apparently only older, more conservative people are supposed to get Plantar Faciitis.) After trying several types on, I found one that had a decent toe box by switching from the shoes on the list – to an Asics that had the similar features designed for Triathlons. It had the same foot lift of 10 -11 mm, the same arch support, the same thingy to stop it from flexing in the middle. Plus it had the added bonus of being glow-in-the-dark! It was the ASICS Tri Noosa-7, pictured to the right. I tried them on, and like the others jogged around the store with them. It felt weird. Aside from my no longer being used to wearing conventional shoes, that heel raise had me concerned. Granted I was just going up and down the aisle of a store – but it was difficult to NOT heel-strike in them. I left without buying anything because I couldn’t decide to get them or not. I just have issues spending 120 bucks on shoes I won’t wear after I heal (heel?) regardless of how awesome the color scheme is. Based on a physical-trainer on my FB page, I did order a night splint to wear (it will be here tomorrow). The handout I got from Dr. Gennett said it helps in 20% of the cases. Since I can use my Healthcare Reimbursement account for it – I figure it is worth trying. 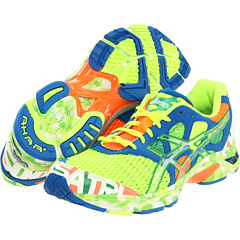 As for shoes – since this not running me is KILLING me, I did decide to order a new pair. I went over to Dicks Sporting Goods and tried on several pairs of stability control shoes – some made by Saucony, Brooks (Really tight toe box), ASICS, Nike.. And the heel rise on them all were forcing a heel strike. I tried on some others that were NOT stability control and found that the New Balance Minimus was quite comfortable (although no more supportive than my VFFS. The Saucony Kinerva 2 seemed to have some some protection and prevented a bend in the middle since it had padding, but only a 4mm heel to toe difference. It seemed a fair compromise for me that could give me some benefit via padding and support – while not being a short-term HIGH expense. Plus I found it on-line for 60 bucks, compared to the $120 of the doctor recommended. Plus it seemed like the sort of thing that I could still use for trail running when I am all-better. So, my new nightly routine the wall-stretch we all know and love for my calf. Then i bend my back knee and put my weight on it to stretch out the achilles/plantar facia. Then I use a stair to hang my heel off and stretch it out. Then I go up stairs and use my foot-log before I get into bed. I am rolling my foot on an icy water bottle at least twice a day at work, and have been taking (faithfully now) my Naproxin 500 mg two times a day. I also give my calf muscle a good rubbing with The Stick during the day. It does seem to hurt less today than yesterday, so either the Cortisone is working, or my long list of things I am doing is..
I’m still not sure what the orthotics are supposed to help me with exactly..
Lol, well I’m an avid supporter of the Asics gt-2150 and 2160…though you’re right there aren’t much flashy colors for stability shoes. We deal with what we have though. In order to cut your shoe cost a bit, I recommend looking at previous models of the stability shoes you’re checking out. Often times they are cheaper since they are technically outdated. Instead of the 2170s, try to find the 2160s online…the 2150s are all but gone at this point. Either way….best of luck! But could you imagine going from a zero drop to the height difference that has between your fore foot and heel? It would be a guarantee of injury!!! HEnce, why I went with something with only a 4mm drop instead of 10-11. The Tri-Noosa 7 (6 is last years) has much of hte same stability as the 2170. So if you want flashy – trie those out! Do you heel strike, midfoot strike or forefoot strike? I’ve gotten SO many complements!